It's that time of year where the halls are decked, the music is playing, and the eggnog flows freely. Where stockings are hung, candles are lit, and our hearts open a little wider for a bit of cheer. It is the HOLIDAY SEASON! I know, I'm totally cheesy. But this season is so cozy and festive and fun. And as much as I hate shopping, I kind of enjoying the search to find Perfect Gifts for my friends and family. There is something so special about watching someone open a gift that you picked out that completely takes them by surprise. I love that look of "Holy crap. Ho-lee craaaap! I can't believe she got me this. It's perfect!" I pride myself on getting this reaction. We're a family of readers, so one of our go-to spots to do a lot of holiday shopping is Barnes & Noble. 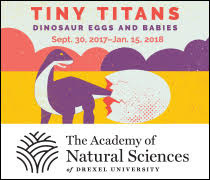 Aside from the shelves upon shelves of traditional classic and contemporary reads, they have a big selection of games, music, educational toys, tech gadgets, and other unique gift options. I love that I can grab small stocking stuffers as well as Perfect Gifts all in one place. 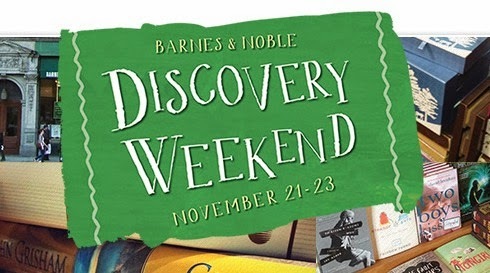 This weekend, Barnes & Noble is kicking off the holiday with Discovery Weekend. Starting Friday, 11/21 through Sunday, 11/23, Barnes & Nobles around the country will be hosting family-friendly events, interactive activities, special story times and even author signings to showcase all of the best that Barnes & Noble has to offer for the holiday season. For instance, Bill Nye is totes going to be at the B&N in Paramus, NJ! My local Barnes & Noble in Exton, PA! Some of the delish goodies found in the Starbucks Cafe in our B&N. 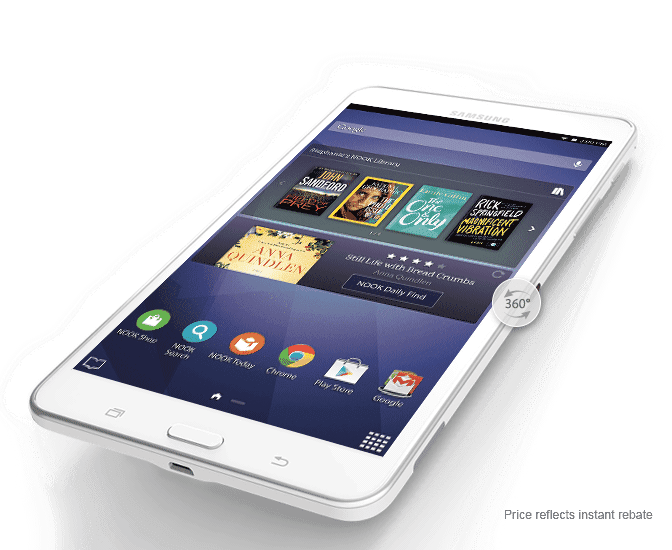 Nook: the eReader AND tablet? Score! Bargain Tables at Barnes & Noble are stocking stuffers waiting to happen. And vinyl. Because, you know. Records. 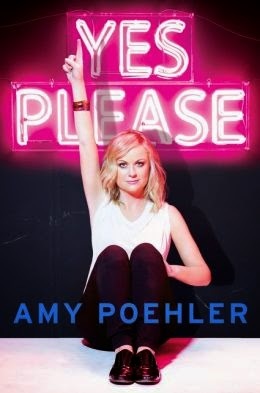 Amy Poehler's new book, Yes Please, is on my "to read" list. 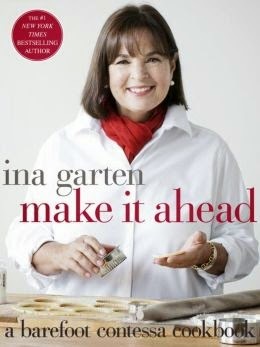 And you know I can't resist anything Ina Garten, including her latest cookbook, Make It Ahead (perfect for any foodie). 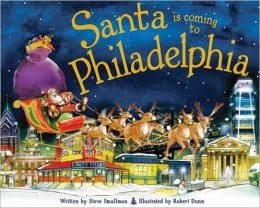 I saw this book that I totally want to add to our holiday literature collection: Santa is Coming To Philadelphia. (Spoiler Alert: HE TOTALLY IS. And I'm 99% sure I'm on the good list this year. Maybe 93%). Chica has become quite the LEGO Friends fan, so we are in luck that there is a LEGO-stocked Barnes & Noble literally down the street. I've wanted to get my mom an e-reader for a while. And there several Nook's to choose from at B&N! 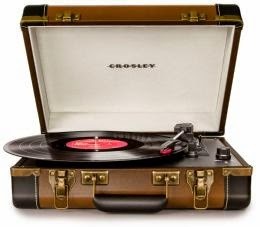 My sister-in-law has a hip taste in music, and she would totally dig the Crosby USB turntable. 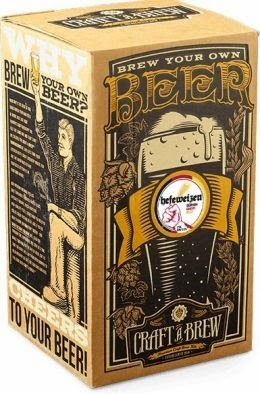 Hubby and his dad enjoy brewing beer together, so I know they'll love these Craft Beer Kits. To see if a Barnes & Noble near you is hosting a Discovery Weekend this weekend, find your closest store here. For more gift ideas, check out these Barnes & Noble Holiday Gift Recommendations! Disclosure: This post was sponsored by Barnes & Noble through Global Influence.